The fact that you waited this long proves your network endorses the assassination of our president. You are the enemy of the people!!! 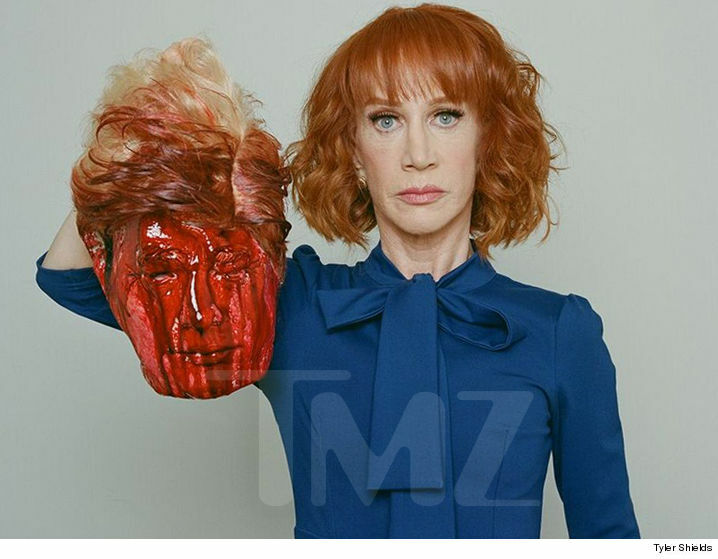 We have pulled all marketing related to Kathy Griffin, we do not align with her views or actions. As a mother, a wife and a human being, that photo is very disturbing. When you consider some of the atrocities happening in the world today, a photo opportunity like this is simply wrong and makes you wonder about the mental health of the person who did it. Be the first to comment on "BREAKING: CNN Announces Termination of Kathy Griffin from New Year’s Hosting"